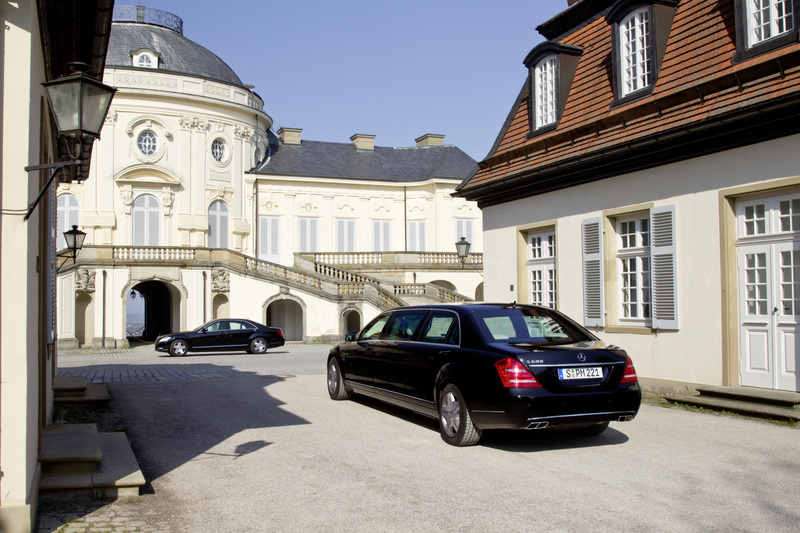 Stuttgart – With seven Guard models, Mercedes-Benz offers the widest ex factory range of special protection vehicles in the world. 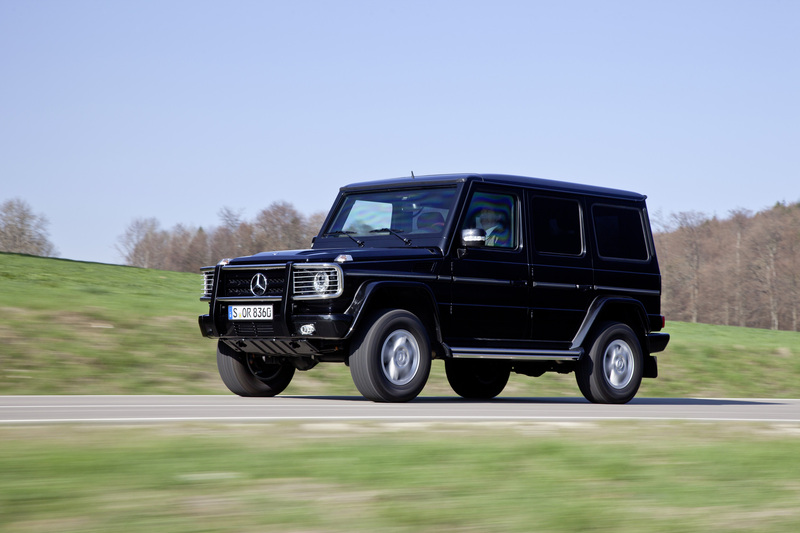 This range has models from the S, E and G-Class, and continues the unrivalled tradition of the world's oldest automobile manufacturer in the production of armoured vehicles. In 1928 Daimler-Benz was the first manufacturer to offer specially protected vehicles ex factory. The current Guard versions mainly differ from the standard models in having an intelligent, tailor-made structure of protective elements made from special steel and aramid fibre. This protection cannot be seen from outside and is not subsequently installed in an already completed vehicle, but rather integrated into the bodyshell right from the start in a special production process. This enables the body structure and running gear to be specifically adapted for the higher weight caused by the protective elements at the outset. 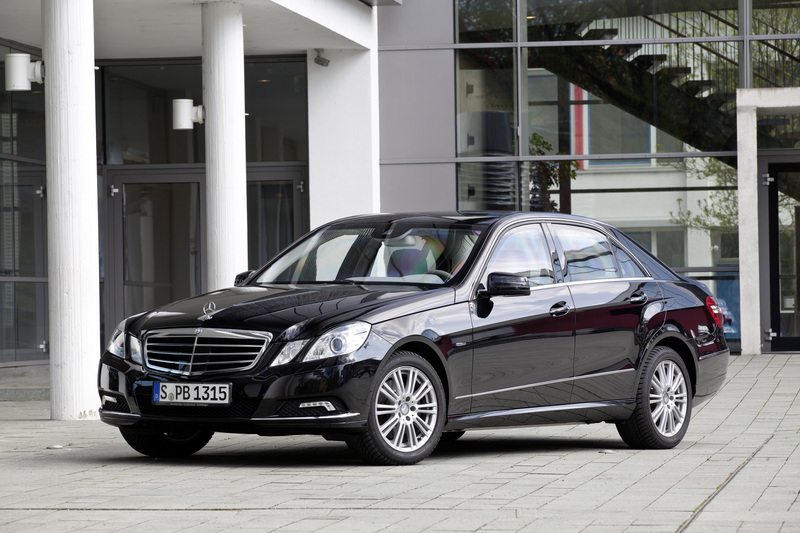 Apart from the build quality expected of a Mercedes, the Guard models retain the outstanding ride comfort and superior driving characteristics of the standard models. 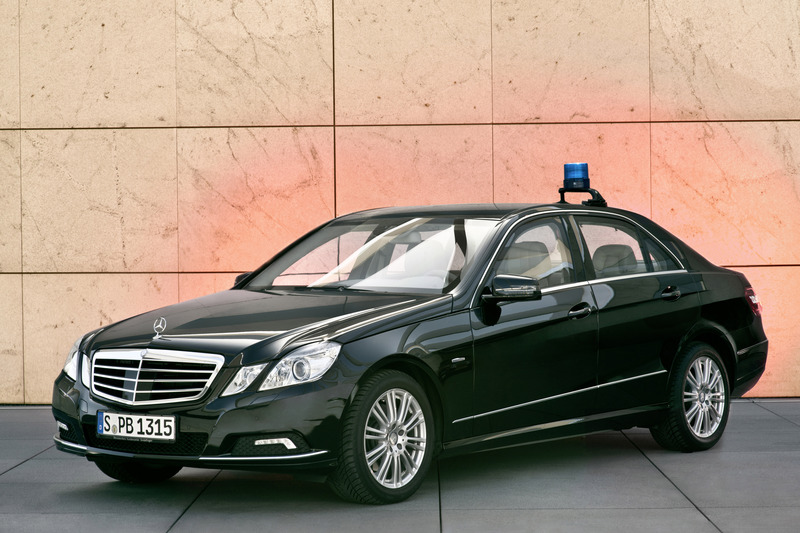 The aim of the Guard models from Mercedes-Benz is to protect the occupants from violent criminal acts. Neither is it only government ministers and top managers who are under threat nowadays, as drivers in many regions of the world do not feel safe from acts of violence. 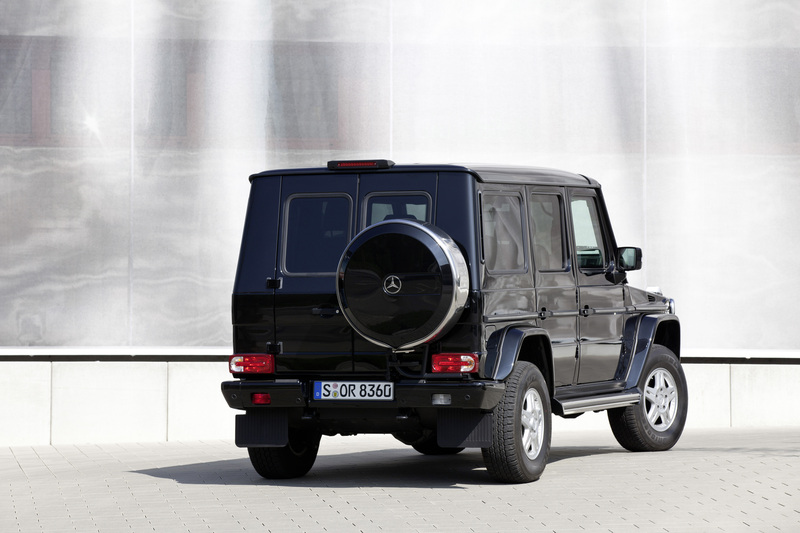 Mercedes-Benz has the answer to violent attack with its armoured Guard models from the S, E and G-Class. 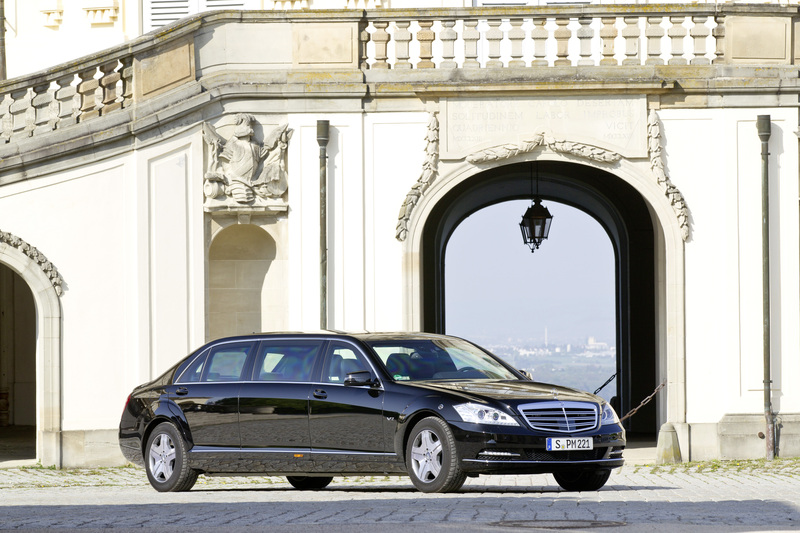 The flagship of the Mercedes-Benz Guard portfolio is the S 600 Pullman Guard, a prestigious state limousine with an opulently spacious and luxurious interior. Depending on the customer's requirements, the Guard models are resistant to handgun and rifle fire, and also certain explosives, while offering their occupants outstanding comfort and day-to-day practicality. 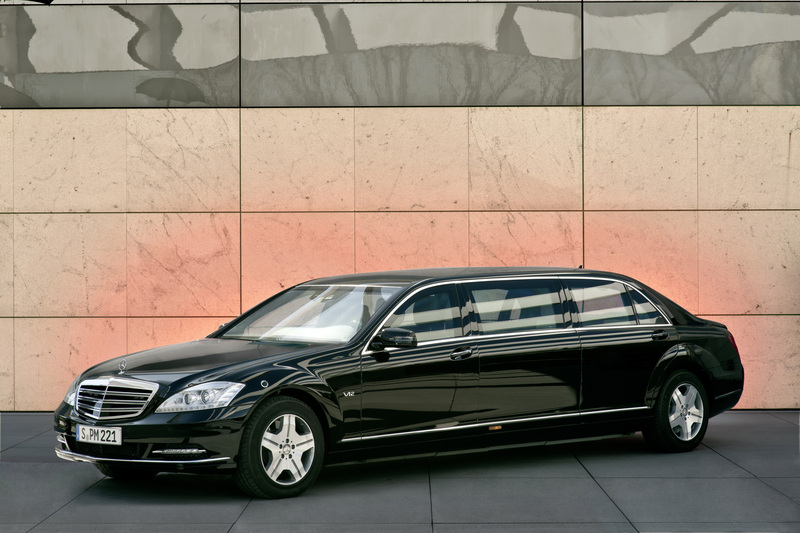 The Mercedes-Benz S 600 Guard is the armoured, special protection version of the long-wheelbase Mercedes-Benz S 600. The generous spaciousness of this flagship model, which offers all its occupants a first-class ambience, outstanding ride comfort and superior driving characteristics, is almost fully retained in the Guard version. 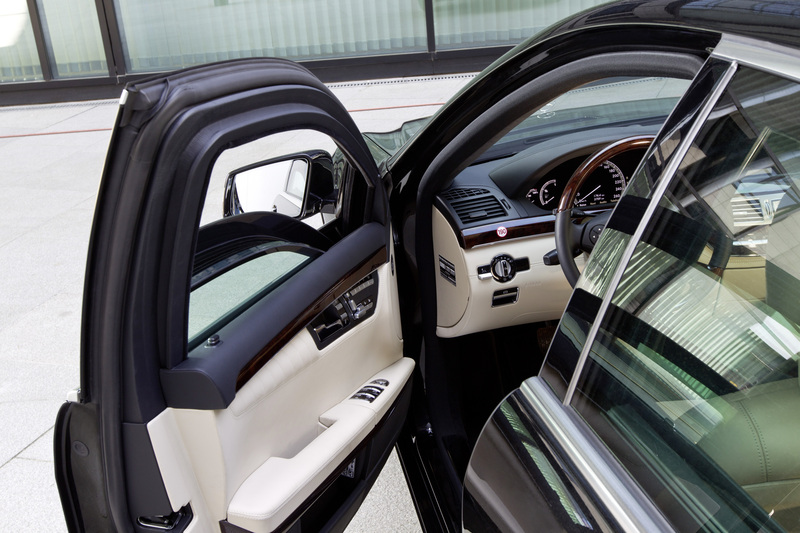 Naturally the S 600 Guard is also equipped with the technical innovations that have made the Mercedes-Benz S-Class the benchmark for the entire field of car development, and the world's best-selling luxury saloon. 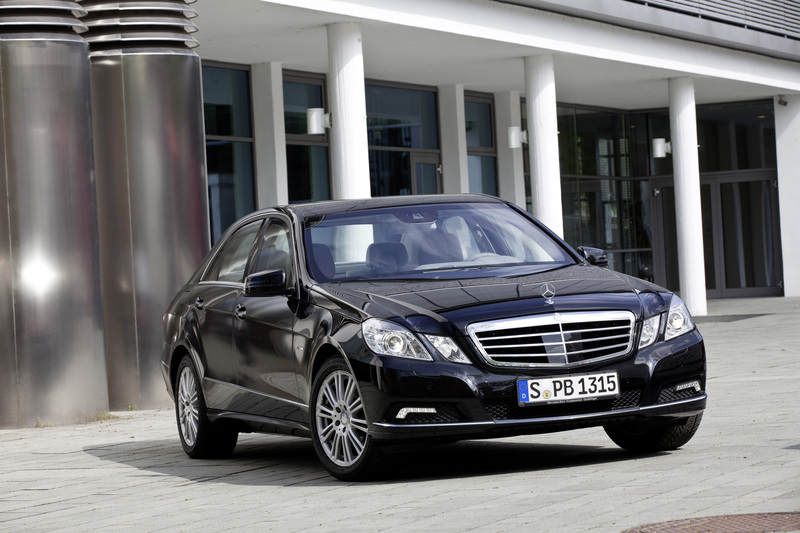 The S 600 Guard is powered by a twelve-cylinder biturbo engine developing 380 kW (517 hp). 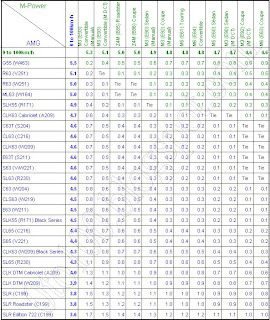 It provides highest protection to level VR6/VR7. 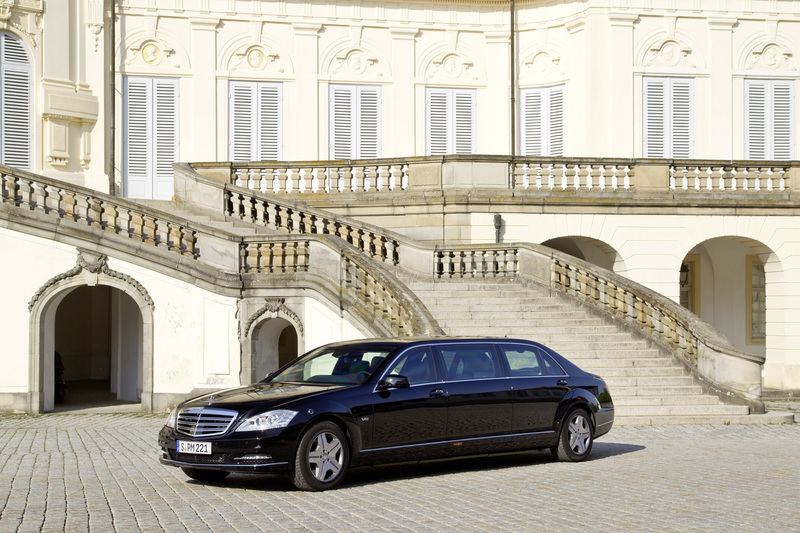 The S 600 Pullman Guard continues the tradition of Mercedes-Benz state limousines, and treats it occupants to generous spaciousness and outstanding comfort. This interior spaciousness is ensured by a further, 115-centimetre increase in the wheelbase compared to the long-wheelbase version of the S‑Class with special protection, to 4315 millimetres. 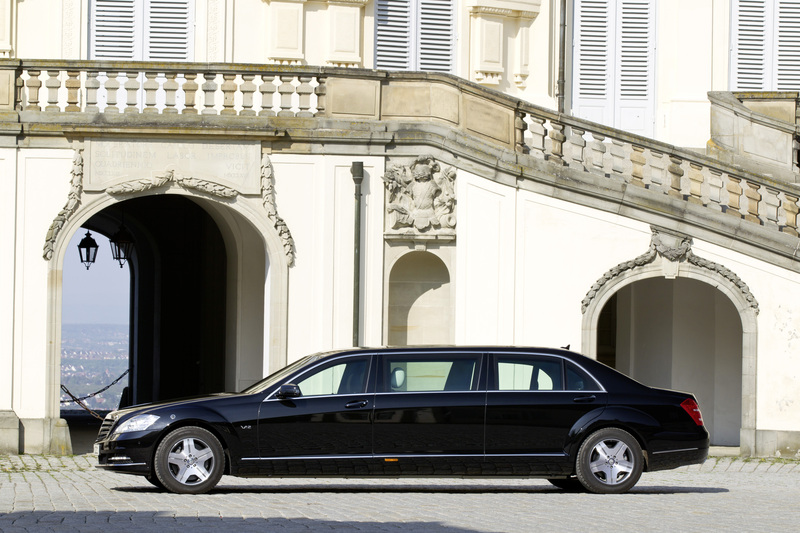 The state limousine also has a raised roof section at the rear for even easier access and more headroom. Four passengers can be seated behind a partition in the rear, on comfortable, opposing seats in line with Pullman tradition. This allows plenty of space for confidential discussions. All the important communication and entertainment functions are on board as well. The Pullman is likewise powered by the silky-smooth twelve-cylinder biturbo engine with a cubic capacity of 5513 cc, which develops 380 kW (517 hp) and an impressive torque of 830 Nm. 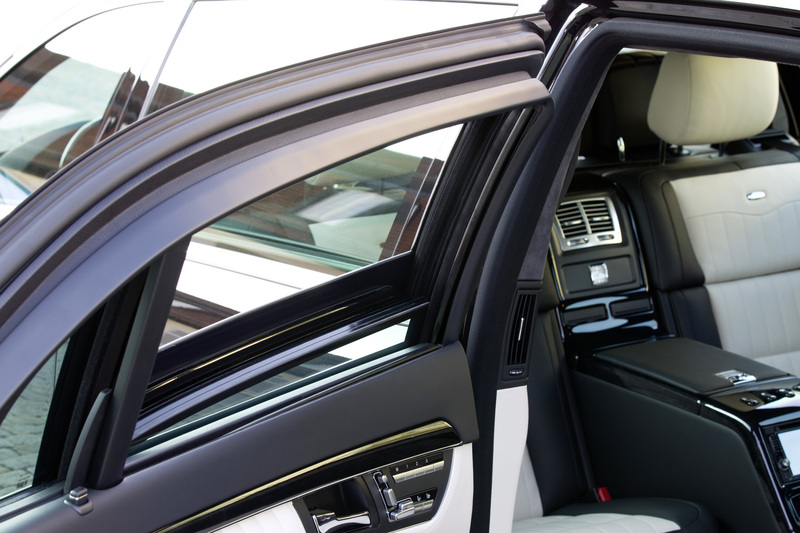 The S 600 Pullman Guard has highest protection to level VR6/VR7. All E-Guard models have high protection to level VR4. Their occupants enjoy the same generous spaciousness and high ride comfort as in the standard models. 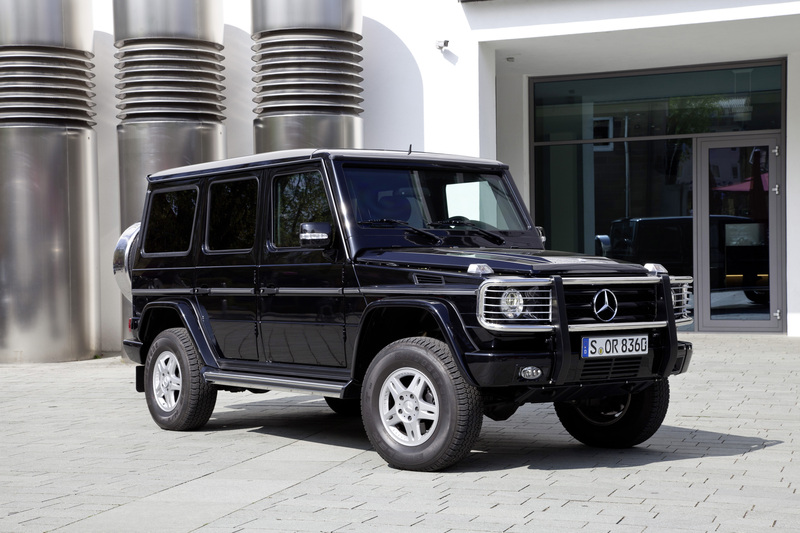 The Mercedes-Benz G-Class is also available in a special-protection version. 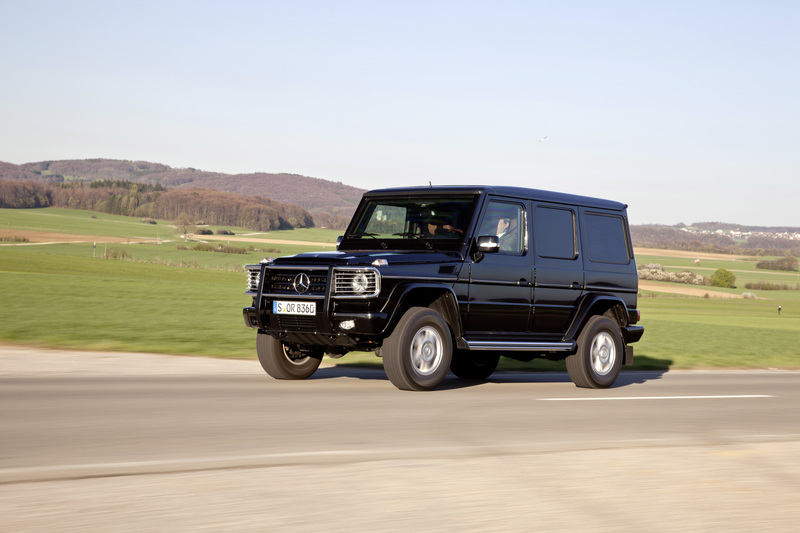 The G 500 Guard is equipped with a 5.5-litre V8 engine and highest protection to VR6 or VR7. 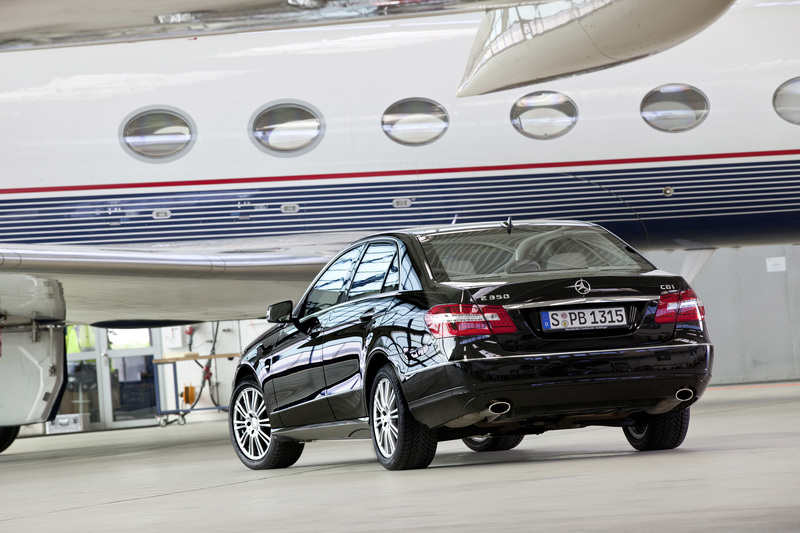 Specialists in Sindelfingen with many years of experience in this field apply the principle of integrated special protection to the Mercedes-Benz Guard models. In effect this means that, rather than retrofitting the protective elements in the doors, rear wall, side panels, roof lining and firewall etc. of an already finished vehicle, they fully integrate them into the bodyshell in a dedicated production process. This effectively creates a coat of armour around the entire passenger cell. Even the roof frame struts, door locks, door gaps, exterior mirror mountings and other components are incorporated into this security concept. 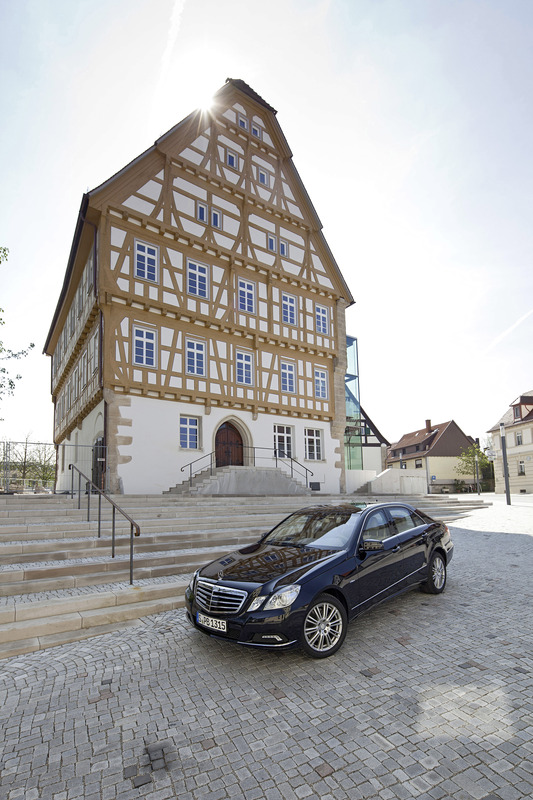 The resulting vehicle offers hallmark Mercedes-Benz build quality combined with comprehensive high/highest protection characteristics, even in those areas where retrofitting would be all but impossible. A further advantage of integrated special protection is that the protective features actually reinforce the body structure rather than imposing extra stresses. In addition, Mercedes-Benz' integrated design approach means that any body-structure reinforcements required due to the weight of the protective elements can be integrated right from the very start. The result is extraordinary longevity and the same exceptional quality all round that distinguishes standard Mercedes-Benz production models. The basis for this is the long-standing, continuous and close cooperation with nationally and internationally recognised security authorities. For decades, this has ensured that the Mercedes specialists have been able to continuously increase their expertise in the fields of development and manufacturing while also applying their vast experience in vehicle protection technology and ballistics to meet the highest standards. Thanks to the seamless integration of the special protection features, the paint quality and corrosion protection match the standards of Mercedes-Benz series-production vehicles. 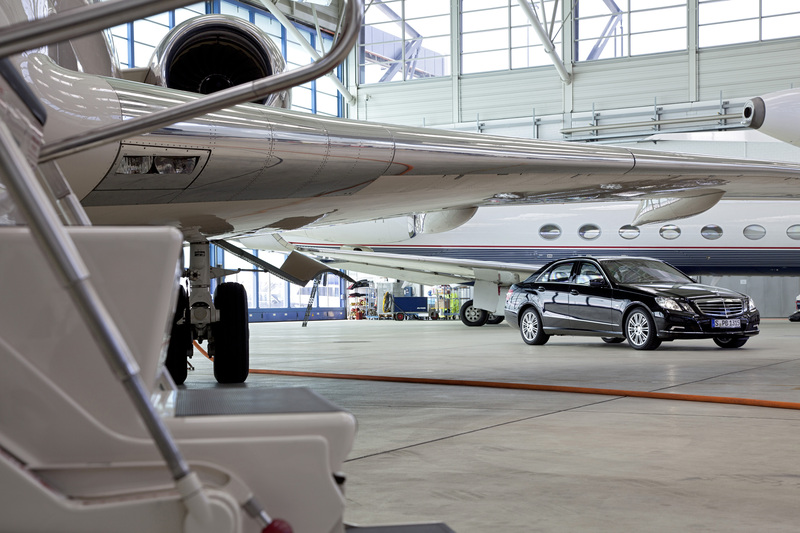 Moreover, the Guard models can be serviced in any Mercedes-Benz service outlet anywhere in the world – another important factor which ensures easy access to comprehensive service of the highest standard. 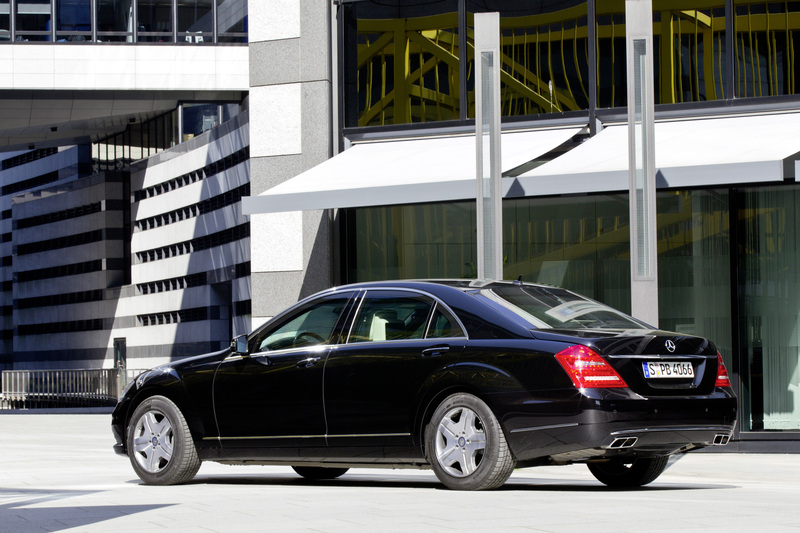 Mercedes-Benz uses this know-how acquired over many years to provide answers to different risk scenarios all over the world, offering Mercedes-Benz Guard models with various protection levels in accordance with the European standard. High-Protection vehicles, engineered to the VR4 protection level, resist large-calibre revolver ammunition and offer particularly good protection against the increasing threat of drug-related and violent street crime. Highest-Protection vehicles, engineered to protection level VR6/VR7, provide effective protection against the threat posed by terrorist attacks. Their armour is designed to resist rifle-fire from military weapons, which has a velocity almost twice that of handgun bullets. They also offer resistance to shrapnel from hand grenades and explosive charges. As the inventor of the automobile, the world's oldest automobile manufacturer has always seen itself obligated to develop automotive technology further at the highest level, and to set constantly new standards. 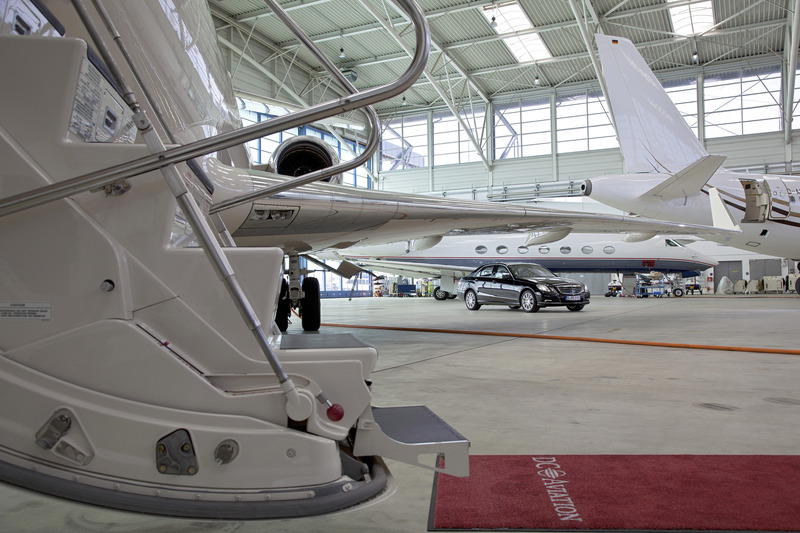 This applies in equal measure to the special protection vehicles – as witness the unique tradition on which the Stuttgart-based premium brand can also look back in this sector. As early as 1928, with the model Nürburg 460, Daimler-Benz was the first company to start building saloon cars with factory-fitted protective features which effectively shielded the occupants from attacks using firearms and explosives. This was followed by more than eight decades of extensive material testing and systematic development which has secured the exceptional position of Mercedes-Benz in the field of special protection to the present day. In the 1930s and 1940s, the specially protected Mercedes-Benz Nürburg 460 was followed by armoured versions of the "Grand Mercedes" model 770, and of the 500 and the 540 K. In September 1963, Mercedes-Benz presented a new, exclusive prestige vehicle – the legendary 600 model – to meet the requirements of the most demanding customers. Shortly after the launch, the German government approached Daimler-Benz with a request for an armoured version for state visitors. 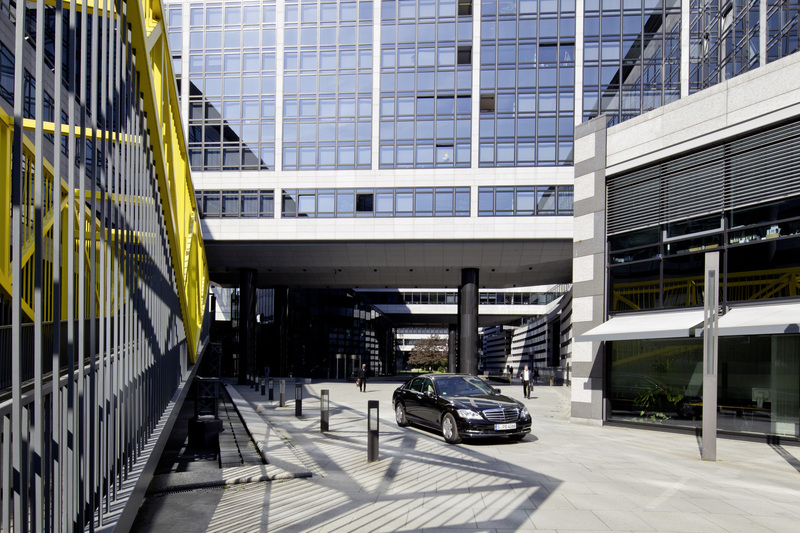 For the engineering team in Stuttgart, this marked the beginning of a new era characterised by a new set of challenges – not least, how to reconcile the requirements of a special-protection vehicle with a self-supporting body structure which had by now become the industry norm. 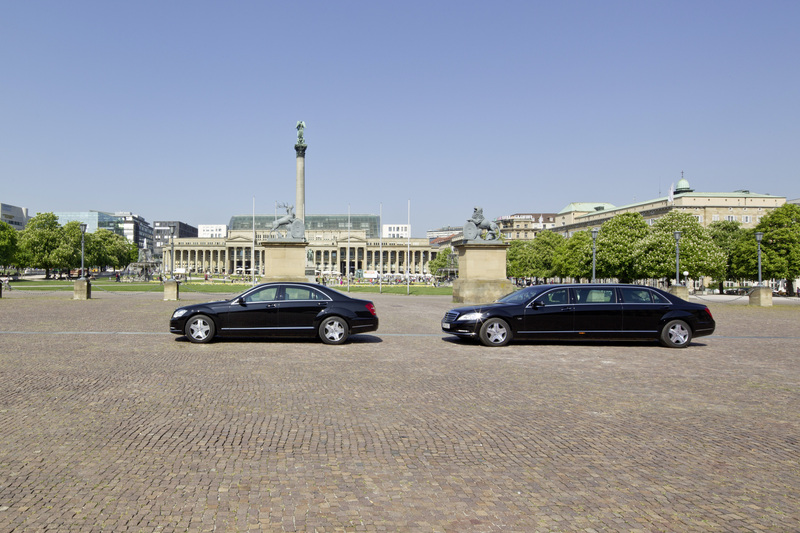 With no other German manufacturer at the time able to offer factory-built armoured passenger cars, and Mercedes-Benz limousines being held in high esteem by many governments around the world, a close working relationship developed between Daimler-Benz and the German authorities. In the course of this cooperation, the Stuttgart-based automaker came up with many new technical solutions and concepts. Indeed, this intensive cooperation formed the basis for the current European standards which define the different protection levels. In 1970, when there was suddenly great demand for special-protection vehicles following attacks on diplomats in Latin America, Daimler-Benz rose to the occasion with armoured versions of the 280 SEL 3.5 model. Demand grew once again during the 1970s with the attacks by the RAF terrorist group. Mercedes-Benz therefore built special-protection variants of the eight-cylinder 350 SE, 350 SEL, 450 SE and 450 SEL models which it supplied to a select group of customers, including official bodies and governments in Europe and beyond. 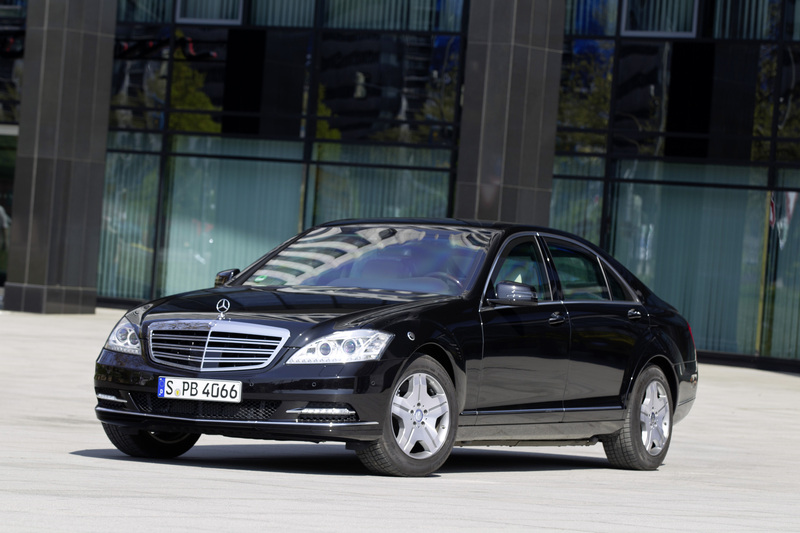 All subsequent generations of the S-Class have also been available as special-protection variants. Wow. Those Mercedes-Benz are fantastic. 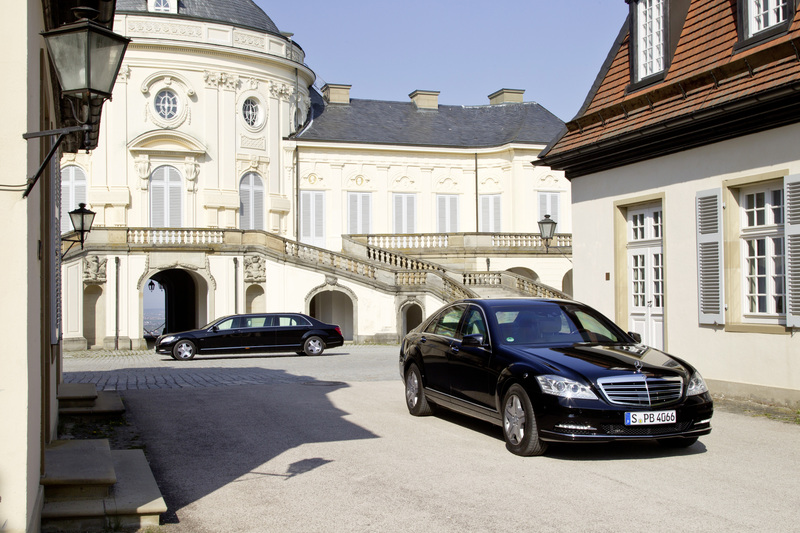 I have ridden one Mercedes-Benz and it felt great riding on that luxurious car.